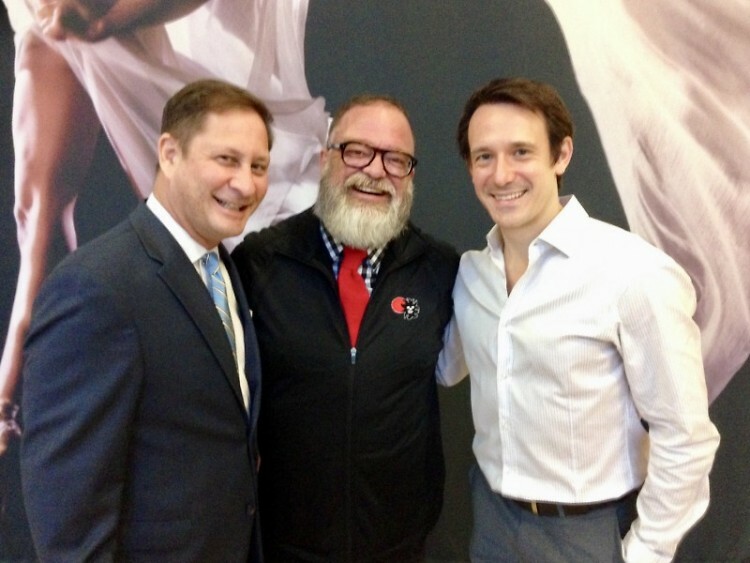 Festival of the Arts announces its honorary co-chairs for the event’s 50th year – Glenn Del Vecchio, Executive Director for Grand Rapids Ballet and James Sofranko, the new Artistic Director for Grand Rapids Ballet. The two were selected to celebrate the link to the very first Festival of the Arts. Glenn Del Vecchio serves Grand Rapids Ballet as Executive Director, and serves on a number of executive boards in the community including Vice Chair at Michigan Dance Council and Operations committee of the Convention Arena. “I am honored to be welcomed into the Grand Rapids arts community with such an important appointment,” said Sofranko. “I am excited to share the Grand Rapids Ballet with the city through Festival of the Arts. The arts are all inclusive and should not discriminate against those who cannot afford to pay for it, so bringing high quality artistic performances to this completely free festival is something I strongly believe in." The Board of Directors of Festival of the Arts recently decided to follow a new process for honorary co-chairs starting with Del Vecchio and Sofranko in 2019. In order to re-connect with the arts institutions of the region, Festival will look to select leaders from partnering arts institutions in future years. The honorary co-chairs will serve as ambassadors to the community encouraging engagement for the event and also serve as conduit to all the other arts institutions in the region for solicitation of performers and artists. Festival of the Arts takes place the first full weekend of June every year, and is celebrating its 50th anniversary on June 7, 8 and 9 in downtown Grand Rapids. Festival of the Arts, always the first full weekend of June, will celebrate its 50th year in 2019 on June 7, 8 and 9 in downtown Grand Rapids. The three-day family friendly event remains free and features several stages of performances taking place all day, a juried arts exhibition, and dozens of food booths run by local non-profit organizations. Festival also offers creative activities for children and adults to enjoy with opportunities to make your own art or purchase art from many West Michigan artists. For more information visit festivalgr.org or check out Festival of the Arts onFacebook, Twitter or Instagram.